Many people want to start a clothing line or clothing brand. After all, how difficult could it be? The truth is that clothing brands become successful in part because they’re created by people who are passionate about clothing. But, a clothing brand needs more than just an exquisite apparel design to create a lasting business. It needs all the trappings of a successful business as well. 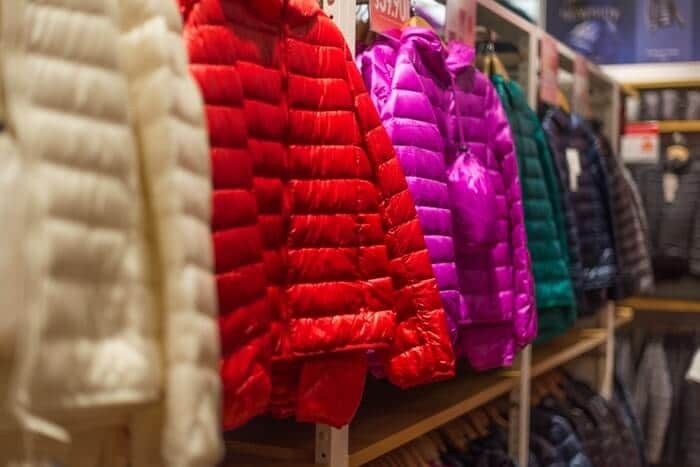 Apparel retailers need to master marketing, manufacturing, and retailing, among other things. Fashion is amazing in the way it balances art and commerce, but it’s a business. Don’t start a business because you want to design. Start a business because you want to start a business. So, are you a fashion designer or an apparel entrepreneur? If you are ready to start a fashion business (whether part-time or full-time), let’s get down to it. Here is a step-by-step comprehensive guide with our top 10 business tips for starting a successful clothing brand or clothing line from scratch. WANT HELP DEFINING YOUR CLOTHING BRAND? Get our free Clothing Brand Inspiration Guide. Top question to ask yourself. Examples from 20 strong clothing brands. Discover what’s unique and valuable about your brand. How to avoid expensive branding mistakes. We just emailed the first lesson to you. Get the Clothing Brand Inspiration Guide! The importance of your brand identity cannot be understated – especially in the world of fashion. Clothing is very personal because our clothing choices are one of the ways that we define our identity – to both ourselves and to the world. As a result, the brands we choose to wear and the labels we display on our clothes become an extension of who we are and how we see ourselves. What identity do I want my clothing brand to project? Who will want to wear my clothes? What can customers get from my clothing brand that they can’t get anywhere else? What makes my clothing unique? Is it high-end? Your answers to these questions (and others like them) will build the core of your brand. All of your future branding decisions should expand on these ideas. Your business name, your logo, your website design should all grow from the concepts you laid out here. Arguably, the key to their success has been having a clear brand identity that resonates with their target customers, staying authentic to that identity, and knowing how to communicate it to the desired audience. So, take the time to think – really think – about your brand from the start. Fashion is an exciting, fast-moving industry. You might have many business ideas, but it’s important for you to focus on one. First, you will need to choose the legal structure for your new apparel business. Sole proprietorship or LLC? Incorporate or register a partnership? Your plan should include (at minimum) a statement about your clothing brand, a general description of your products and a strategy for how you plan to sell them. In a detailed business plan, you may want to include your anticipated pricing structure. But, whether you include pricing info in your business plan or not, it’s an issue you must consider. 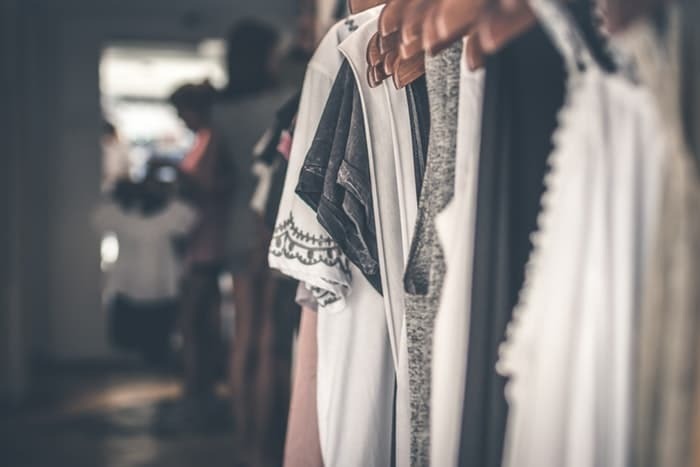 Plan ahead for all of the necessary legal and logistical business considerations and you’ll create a strong foundation for your clothing brand’s successful future. For a fashion business, you’ll obviously want to track your sales and profits, but there’s so much more to think about before you can get there. You’ve got to start at the beginning – with your start-up costs. If you plan to hire any employees, you’ll want to budget their wages into your start-up calculations as well. If you’re starting a Cut-and-Sew line, you’ll need to get in the habit of calculating how many yards of fabric are needed to make your garments so that you can buy enough, but not too much. If you’re planning to work with pre-made wholesale garments, you’ll want to shop for the best prices at your quality point. Running smart calculations to determine how much it will cost to create your collection, will allow you to plan ahead and think about pricing. 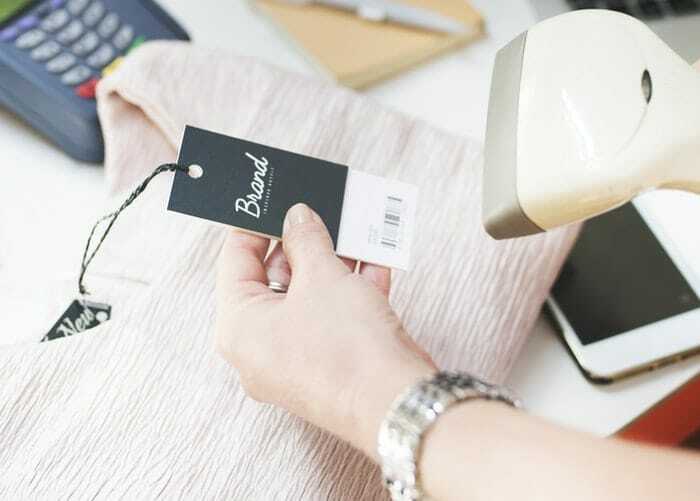 Most businesses in the apparel world use a cost-based pricing strategy, in which the final cost to the consumer ultimately comes from the cost of producing that product. But, the CPU is only a starting point. It’s important to bake the cost of running your business, (and some profit!) into your clothing prices as well. Otherwise, it will be difficult to sustain your business over time. 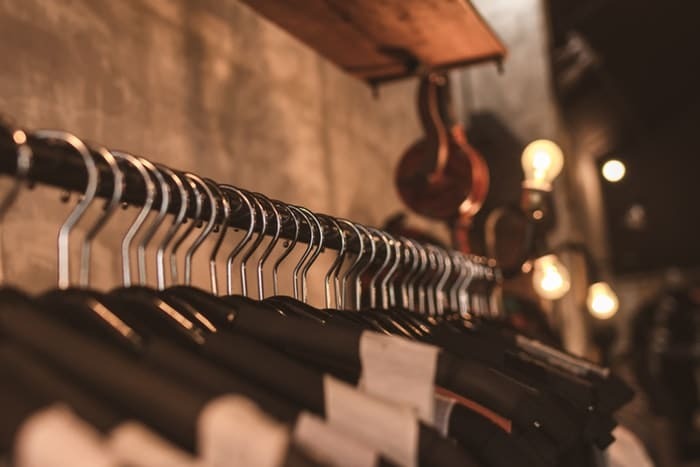 You may dream of owning your own brick and mortar shop – or maybe you fantasize about seeing your labels on the rack at Nordstroms. Either way, in order for an apparel business to scale and grow, it must have price points for both retail and wholesale. Toby Nwazor of Entrepreneur magazine recommends that you aim for prices 30% – 50% higher than your expenses in order to ensure a profit. Profit is, after all, essential to your business’s success. Your potential customers are shopping for more than just your clothes. They’re shopping with your competitors, too. And, they know how much those clothes cost. Consciously or not, they are gathering data about what they think a product like yours should cost. You might feel that your products are worth more, or that you want to charge less, than your competitors. And that’s okay. Perceived value is the amount that a customer thinks a product is worth. And, your competitor’s prices are a part of that perception. But, not the whole picture. The appearance of your clothing plays a role. A cheaply made shirt that looks fancy may have a higher perceived value than a beautifully made simple shirt. Most customers have no idea how much time, money or effort actually goes into making a particular garment. 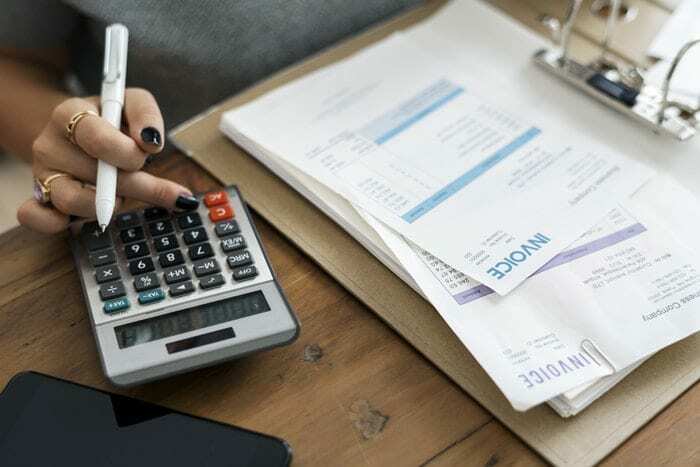 For more information about pricing and clothing line financial planning, check out this online mini-course by Indie Source. NEED HELP STARTING YOUR CLOTHING BRAND OR LINE? Your website is one of your clothing line’s most important ambassadors. So, put this vital business tool to work for your clothing line. And, showcase your fashion design aesthetic. In addition to serving as a brand ambassador, your website is also a great venue for showing off your clothing designs to a wide audience. Consider sharing an online lookbook featuring your fashions, as well as traditional product shots. This will allow your audience to see the styles in action, provide inspiration, and give customers a chance to relate to your designs. If your lookbook resonates with a visitor, chances are good that they’ll purchase your items – or, at least, they’ll wish they could. You may also want to incorporate an online store into your website. Check out Section 7 – Create a Sales Plan (below) for more information about selling online. Finally, a strong website design will lend credibility and legitimacy to your business. To learn more about great website design, check out Grow Your Small Business With These 7 Website Design Best Practices and 7 Modern Web Design Trends for 2019. Yes, starting a clothing line is a business. But, your creativity and designs are the fuel for that business. Planning your first collection is an integral step in the process. So, let’s talk about how to get started. Print-on-Demand – This business model enlists the aid of a third-party to print and ship pre-existing wholesale garments (like t-shirts, hoodies or leggings) to your customers. Your custom patterns or prints are applied to the appropriate garment and then shipped out to your customers as the orders come in. So, there’s no need for you to store inventory or manage fulfillment. It’s one of the easiest fashion business models to set up; but, it also yields some of the lowest revenue since much of your profit goes to the third-party that is fulfilling your orders. Custom Wholesale – Custom wholesale businesses purchase pre-made wholesale garments and then customize the clothing by hand. You can print, applique, embroider or otherwise embellish the existing garments to fit your vision. This model requires some time and financial investment. You’ll need to purchase the garments upfront and pay for the materials and labor to customize them. You’ll also need to store inventory and fulfill your own orders. However, you’ll take home more of your profits than the print-on-demand model since there’s no third-party to pay. Cut-and-Sew/ Private Label – This is the business model most people think of when they plan to start their own clothing line. You will design your own clothing and then have it manufactured to your specifications. (You can learn more about finding a manufacturer in the next section.) This model will require you to shop and purchase the fabrics, decor, and notions needed to build your garments. You will also need to store your inventory and fulfill your own orders. Custom Couture – Custom couture may be the riskiest fashion business model. Couture garments are hand-made to fit each individual client. This level of detail is time/labor-intensive and expensive to execute. This means that each piece will come with a very high price tag – the kind of price tag that is only really accessible to the wealthy. This limits your potential customer pool. However, if your designs catch the eye of wealthy clientele, your business could sky-rocket. Once you know whether you’ll be creating a cut-and-sew collection from scratch or starting a print-on-demand business you can get more specific. What kind of clothes will you make? It’s impossible – and expensive – to try to please everyone and do everything. You’re more likely to succeed if you design specific products for specific people. So, decide early on who your core audience is and what products will be the heart of your clothing line. Whatever niche you choose, make sure you’re passionate about it. That passion will come through in your designs and your audience will appreciate and embrace the authenticity of your clothing brand. Once you’ve decided on the right business model and niche for your clothing line, it’s time to start thinking about the garments themselves. Your first collection should reflect the core essence of your clothing line and properly introduce your unique design aesthetic. So, refer back to your brand concept for inspiration. We can’t tell you what your designs should be – that’s the magic that you’ll need to supply on your own. But, we can tell you to be true to yourself as a designer. And, don’t be afraid to be unique. Uniqueness and authenticity are the elements that will help to set your clothing line apart in the crowded fashion marketplace. 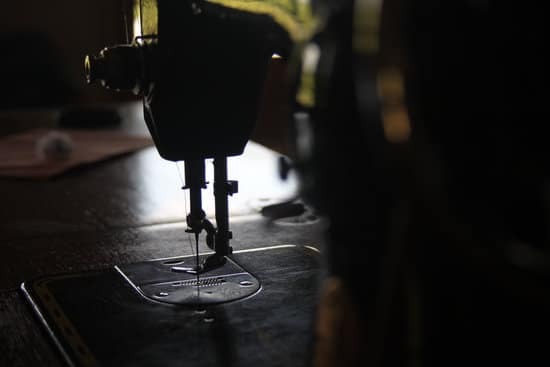 Unless you personally plan to sew every garment you sell (a business model that would be impossible to scale) you’ll need to consider how your collection will be manufactured. A manufacturer is not just the means to an end – it’s the partner that will help you make your ideas a physical reality. So, making the right choice of clothing manufacturer is critical. This is true whether you’re starting a new clothing business from scratch or if you’re already running a clothing brand and want to start a new clothing line. Your existing manufacturer might not be a good fit for the new line. This often happens, for example, if you started with t-shirts and are now are looking to start producing a more tailored cut-and-sew line. You should plan to interview a number of different factory locations to find the one that is a right fit for your business. Remember that you must ensure that you maintain healthy profits margins for your business, and manufacturing will be a large percentage of your budget. There’s a terrific book about this from the founder of Nike, Phil Knight – Shoe Dog. In the book, Knight writes about how he found the perfect partners for manufacturing Nike shoes – and the struggles with partners who were less than perfect. Before you reach out to potential manufacturing partners you’ll need to get your own business in order. 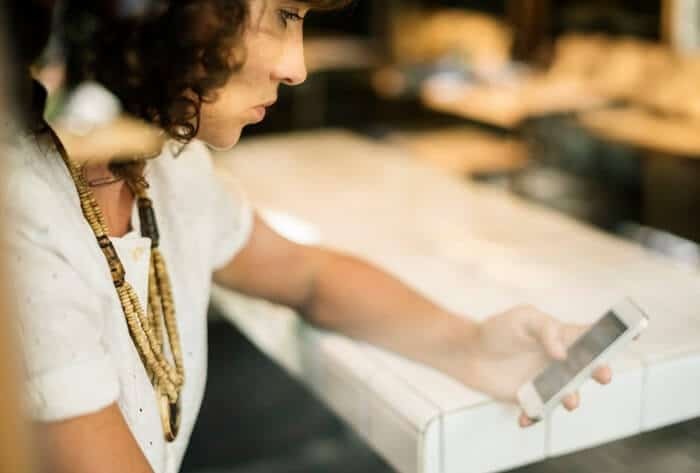 Anna Livermore, founder of fashion business consulting company V. Mora, recommends completing the following “To-Do” list before reaching out to manufacturers. Determine a realistic, honest budget. Don’t overcommit funds you don’t have. Learn about the manufacturing timeline so you can plan accordingly. Prepare your design resources (fabric swatches, sewn samples, and tech pack or renderings). When you reach out to a manufacturer for the first time they will have questions for you – questions that you should be equipped to answer. If you take the time to establish your budget, understand the production timeline and know your designs inside and out then you’ll be ready for them. Look at this meeting as a partner meeting and walk in with a smile! Not only are you looking to see if this factory is a good fit for your brand, but they are looking to see if your brand is a good fit for them! You don’t want to assume they automatically want to work on your project. Of course, walking into that meeting prepared will go a long way toward convincing a manufacturer that you are a worthwhile prospect. Having worked on both the design and production side of the clothing industry I can tell you that manufacturers love a designer who really knows their business. On the same token, nothing is more irksome to a supplier or manufacturer than a designer with lots of ideas and no understanding of the manufacturing process by which those ideas are made real. Before you commit to a full-scale run, order a few samples from several manufacturers to evaluate the quality and speed of their work. For example, if you’re screen printing on your clothing, examine the quality of the print. Examine the labels to make sure they contain the information you require. Once you’ve evaluated all of your options and review samples, choose the manufacturer that will serve your business best. There’s more to a clothing line business than manufacturing. Once you have manufacturing well in hand, build your marketing plan and consider how you will sell your new clothing line. Where do you plan to sell your clothing line? In an online shop or online clothing store? In a brick and mortar clothing store of your own? Or maybe you want to sell in local boutiques that feature many different clothing items? There is no one right answer. And, it’s a good idea to consider the pros and cons of each option before making a decision that feels right for you. This is where market research can help you. Not every selling option will be cost-effective or practical. You’ll want to develop both an overall marketing/sales strategy and also a list of day-to-day tactics that will help you sell your clothing line. Selling a clothing line in an online store is cheaper and less labor-intensive than setting up your own physical store. There’s no monthly rent, mortgage or property taxes to pay, and no fixtures to buy. It’s also relatively easy to create an e-commerce presence nowadays without a lot of technical knowledge. Check out services like WooCommerce, Magento, and Open Cart. Not only can you use your own original web design, they also scale easily alongside your business as it grows. Alternately, if you dream of selling in a physical store, it’s a safer financial bet to start by selling in boutiques that already exist before taking the plunge and opening your own shop. When deciding which boutiques you would like to carry your clothing line, double back to our first point – your well-developed brand. Choose boutiques that are in line with your brand identity and your target market. If you design biker leathers for motorcycle enthusiasts, you can probably bypass the boutique down the street that specializes in yoga pants and maxi skirts. However, if you make wise location choices, there’s a good chance your target audience already shops for clothes there. If you plan on selling wholesale to boutiques it is important that you have merchandise ready to sell during the correct buying season… You need to figure out when you need to have production ready to ship to stores or customers and then work backwards from there through the development stages (leave enough time!) to make sure that you are working on the correct season. Luckily, you’re already planning to learn about the manufacturing production timeline (remember Tip #3?) so you should be golden. Pro Tip: Always schedule your meetings with boutiques in advance. In retail, the customer always comes first, so cold calls and drop-ins are a bad idea. If you’ve made it this far, you know your brand inside and out, all of your legal business details and business plan are in place, you have a manufacturing partner producing your garments, and a plan for selling them. Now it’s time to focus on getting the word out about your fabulous new clothing business, a new line of clothes, and to find potential customers! 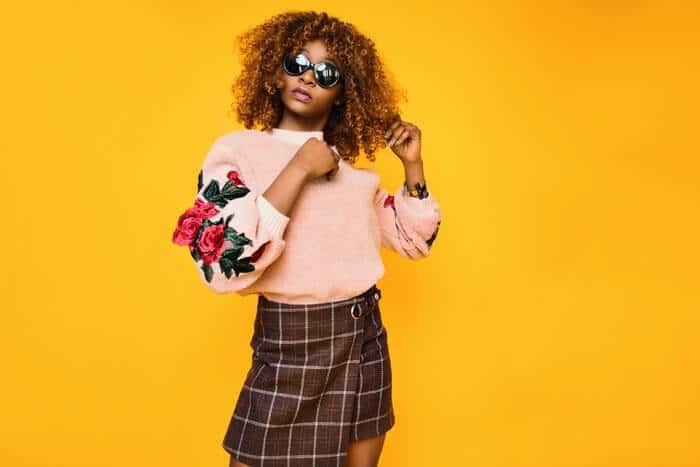 A great way to get started is to compile a list of local fashion editors and media outlets (radio, television and online blogs). When you are ready to launch your clothing brand or your clothing line, you can notify these resources via press release. Take it one step further by creating an entire press kit. Check out this article from PR Couture to learn how. Another important (and easy to overlook!) marketing tool for your clothing line are the pictures of your garments. If you’re just starting out, you might be tempted take these yourself. But, blurry or poorly lit photos can actually work against you. So, if you can afford it, hire a professional photographer to ensure great results. These images will be used on your website, social media marketing, and advertisements. So, keep your brand and target customer in mind and style them accordingly. But most importantly, make sure your styles are the stars of the photos – simplicity is key keep accessories and background elements to a minimum. Social media gives you the ability to easily keep customers up-to-date on new products, store policies or sales. It also enables you to build a social rapport with current customers, while building low-pressure relationships with future buyers. Maintaining (at a minimum) a Twitter and Facebook presence will help you build an audience of devotees. And consider micro-influencers, who can help you in the early days. Make it easy for visitors to see what your clothing brand all about by featuring those fabulous photos of your line in a Facebook album. Social media is also the perfect platform to help future customers get to know you as well as your clothes. One major reason why customers buy from a start-up business instead of a major retailer is that they feel a connection to that business’s story. So, use your Facebook and Twitter to share that story – for free! Finally, consider throwing a launch party to create exposure and excitement for your line. In an article for Inc. Magazine, Francis Arden (Aston Models partner) shares some great advice to ensure that your launch party is the well-attended extravaganza you dream it will be. Build your list. Remember those local fashion editors and media outlets? They should be on your list. So should local boutique owners, fashion buyers and anyone else who is relevant in your field. Don’t compete for guests. Schedule your party on an evening with no other major events – especially not other major events in the fashion industry. You don’t want to force your attendees to choose between your launch and another event. Hold your event at an interesting location. A special, unique venue can really make an event feel like… well… an event! But, don’t choose randomly, pick a location that jives with your brand presence. Try to find a venue where your target audience would feel right at home – if ‘home’ was super fun and exciting. Offer something for free. People love free swag. If you can afford it, offering a thoughtful and relevant free gift will make a great impression on your guests. A branded t-shirt might be the right gift. Or you can offer a one-off specially designed garment in a raffle. If your budget is tighter, Arden suggests offering an open bar for a limited part of the evening. Everyone loves an open bar; and, you can schedule the timing to coincide with when you’d like the bulk of your guests to arrive. For more useful tips like these, check out the rest of Arden’s tips here. One of the biggest challenges for every new startup is saving enough capital to sustain and grow the business. In any relationship, it’s important to know what you’re hoping to gain. Partner and investor relationships can come in a multitude of forms. Are you simply looking for someone to invest capital? Or are you looking for leads, someone to split costs with, or exposure and success-by-association with an established brand? Once you’ve determined what your relationship goals are, it’s time to start thinking about the type of relationship that will best meet those goals. Not so long ago, angel investors and venture capitalists were the standards. But, then crowdfunding changed the fundraising landscape. Crowdfunding sites like Kickstarter and Indigogo offer the opportunity to raise money from a crowd of anonymous strangers. These fundraising projects are easy to set up and allow you to raise cash without granting any one investor or partner any influence over your clothing business. You will, however, need to follow through on any promises made to your backers. If you want a true business partnership, crowdfunding may not be the choice for you. But, it’s a great option for raising cash to fund your next collection. If you decide to give crowdfunding a try, check out Design Tips From the World’s Most Successful Crowdfunding Campaigns. Angel investors and venture capitalists provide a more traditional route to raise funds for your new fashion business. But, you’ll need to work hard to sell these investors on the financial viability of your clothing line. It’s essential to walk into your pitch meeting knowing what you’re looking for and how you’re going to get there. No one wants to invest in someone who doesn’t know their business. And, be prepared for these investors to expect to play a larger role in your business. After all, these investors are investing their money in your clothing business in the hopes that they will make a return on that investment. So, they’ll want to be sure that you’re running your business in a way that is likely to ensure that return. To make a [pitch] deck that reflected my brand aesthetic, we created beautiful and colorful imagery as eye candy. The imagery wasn’t appealing to all investors, but our heavily branded deck struck the right chord with investors who got our vision. Like Adeigbo, you’ll want to prepare a pitch deck to walk investors through your plans and goals for your clothing business. To learn more about the pitch process, read Alejandro Cremade’s article How to Pitch Investors. Business partners can come in many forms. A true business partnership occurs when both partners are equally invested in the success of the business. Both partners devote equal finances, resources, and labor into making the business work. 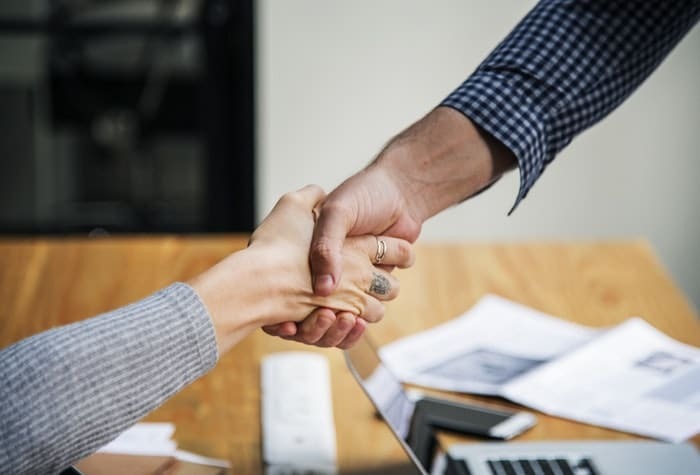 But, if you don’t already have a deeply committed partner by your side, you can also establish more casual or temporary partnerships with existing brands, boutiques or retailers. Look for brands that are complementary to your brand rather than competing for your business. And, make sure that you share the same goals for your partnership. There are many other creative ways to partner with an existing brand or retailer. And, as long as you and your partner have the same goals, you’ll be motivated to work together to achieve them. And, when you first start your clothing line, there’s a good chance that you will be. Eventually, if all goes well, you’ll hire many employees. But employees must be paid. So, at first, you should only hire for positions that will provide the most immediate benefit to your business. There’s no one right answer for what those positions might be – every business is different. But when thinking about what positions to hire for, consider what aspects of the business are posing the greatest challenges. And, consider your own limitations. If you’re a newbie to marketing, consider hiring a marketing manager to help you strategize your business. If you’re not confident with the manufacturing process, hire a manufacturing liaison. And, if you’re struggling to keep up with orders, a fulfillment manager might fit the bill. And if you need help with employment or contractor agreements or agreements with your vendors, take a look at Quickly Legal, which offers entrepreneurs, small businesses and startups an easy and inexpensive way to create, sign and manage legal contracts and agreements. Whew! We made it. Ten steps to help get your new clothing brand or clothing line off to a great start. We’ve covered a lot, so let’s briefly review. Develop an authentic brand that honestly embodies your unique artistic point of view and speaks to your target audience. Plan your clothing business name and logo to embody your brand. 2. Fill in the business blanks. File the permits or licenses that allow you to do business legally and create a business plan to get you started in the right direction. Determine how much it will cost you to start your business and create a pricing structure that will help you grow. Makes decisions based on the financial resources you have available. Create a website that embodies your brand, builds credibility for your business and shows off your clothing line to the best advantage. Choose a business model and niche for your clothing line. Then design a clothing line that represents your brand and personal design aesthetic. Before you start a clothing line, determine your budget, learn the manufacturing process and timeline, and prepare your designs for sharing with tech packs, samples, and fabric swatches. 7. Create a sales plan. Choose your strategy – online or off? If online – create a custom website with your unique branding and e-commerce capability. If offline – form partnerships with boutiques that your target audience would frequent. Send press releases or press kits to relevant media outlets. Show your line off to its best advantage with professional photos. Use social media to share your story and your fashions. Hold a launch party to create excitement for your line. Determine what you hope to gain from an investor relationship or partnership. 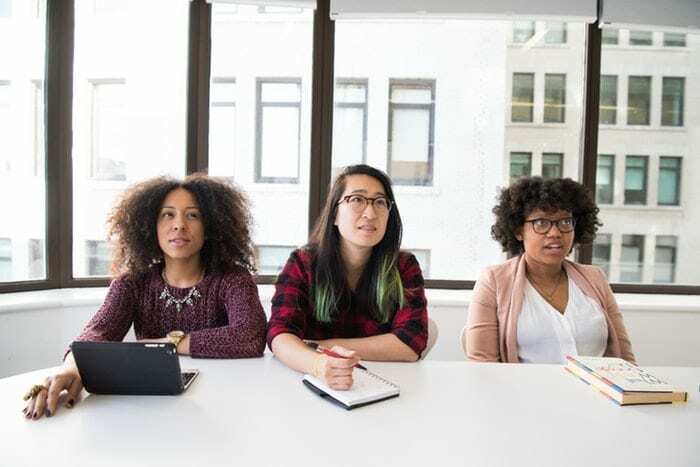 Identify what type of investor is best for your fashion business and consider temporary brand partnership opportunities to give your business a boost. Hire strategically for the positions that will be most useful to your business. And, mind the red tape – make sure to research the legal stuff and complete all your paperwork. There’s a lot to think about when you’re starting your own clothing line – not the least of which are the clothing designs themselves. But, following these 10 recommendations will help set your business off on the right Jimmy Choo clad foot. Your company’s clothing brand deserves a first-class logo. Let crowdspring’s team of 210,000+ designers help you find it. It’s easy, fast and your satisfaction is 100% guaranteed – just click below to get started for as little as $299.